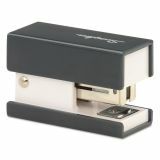 Small, square, stylish and perfect for on-the-go use. 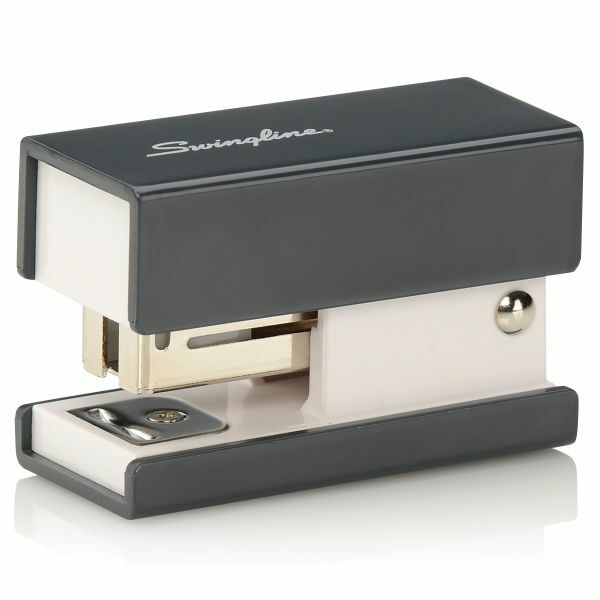 Holds a quarter strip of staples. 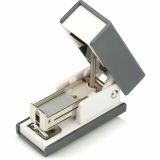 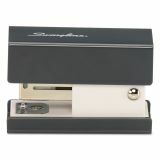 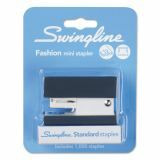 Swingline Fashion Mini Stapler - Why not express yourself by getting a little helping of style with your stapler? 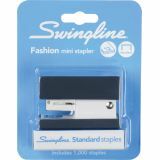 This fashionable, quarter-strip plastic stapler delivers all the functionality you need and features a contemporary design. Perfect for students or professionals, this stapler fastens up to 12 sheets.